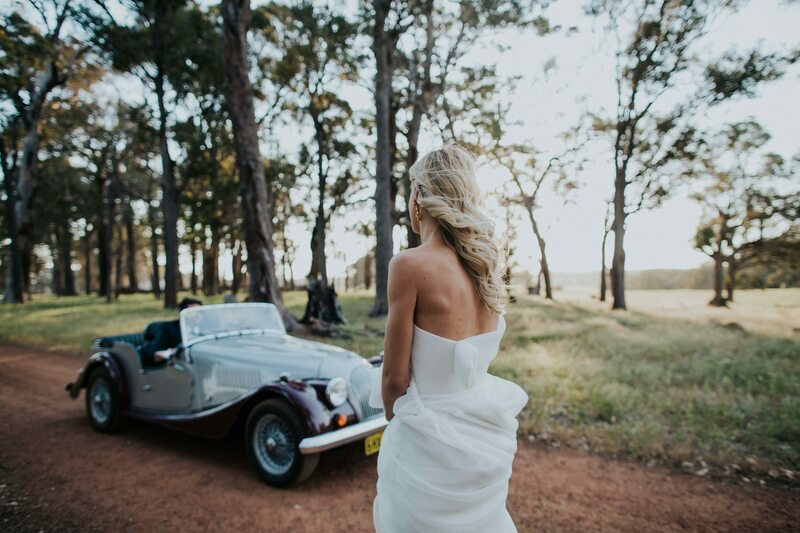 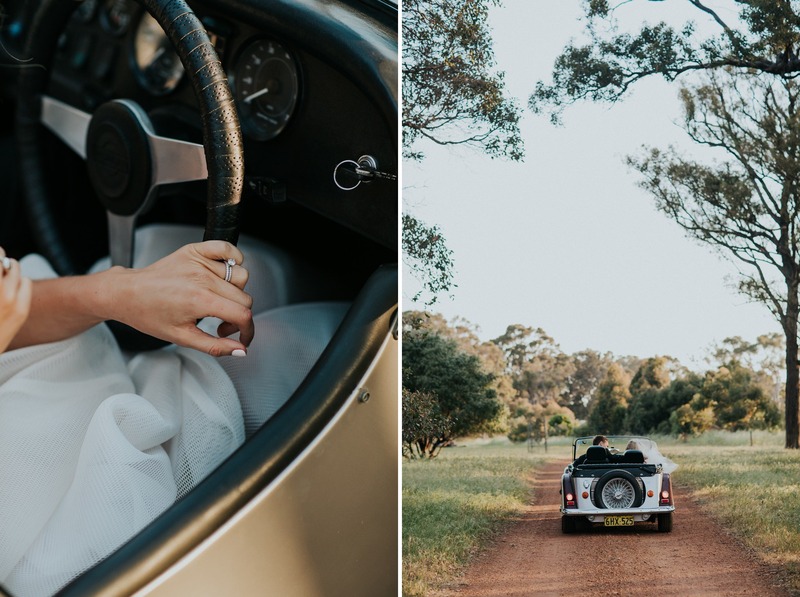 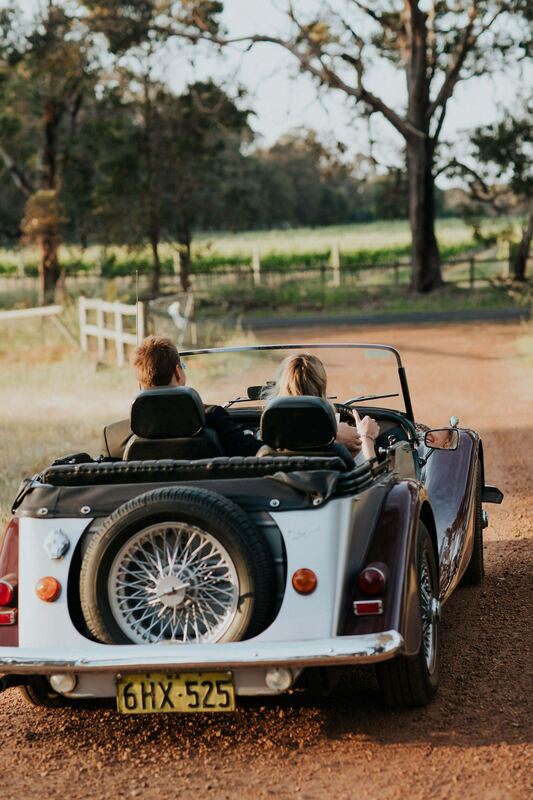 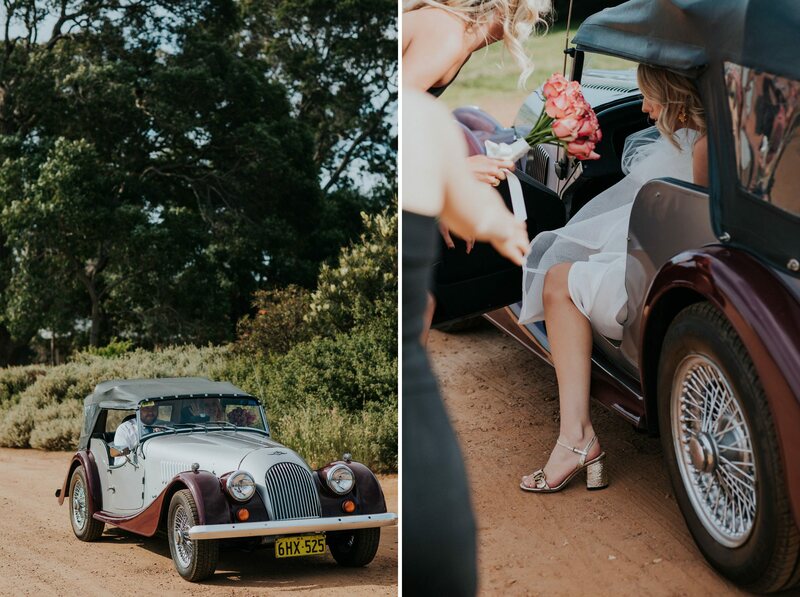 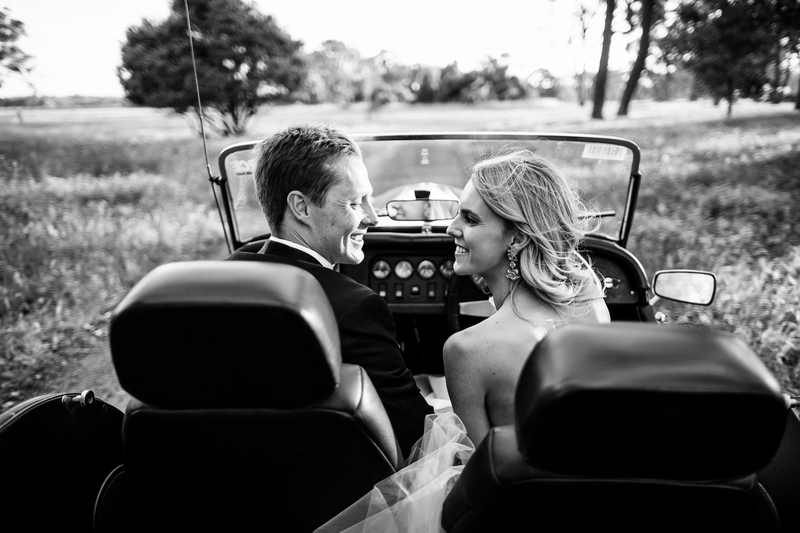 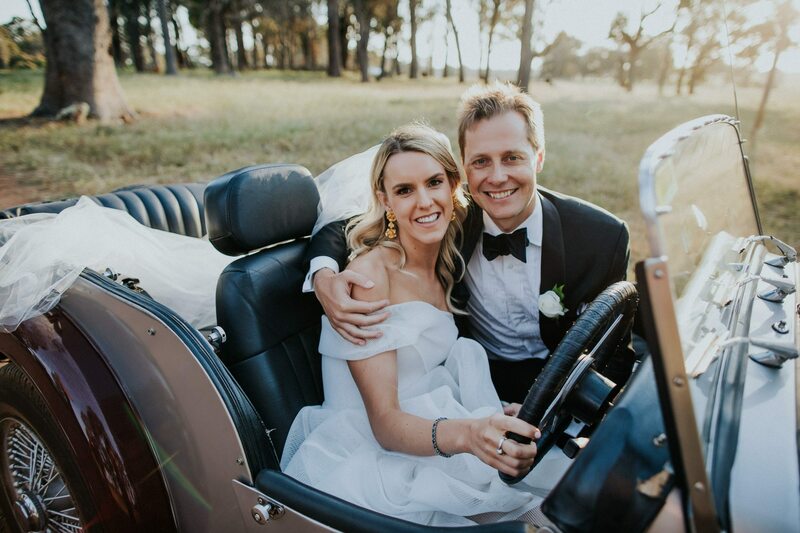 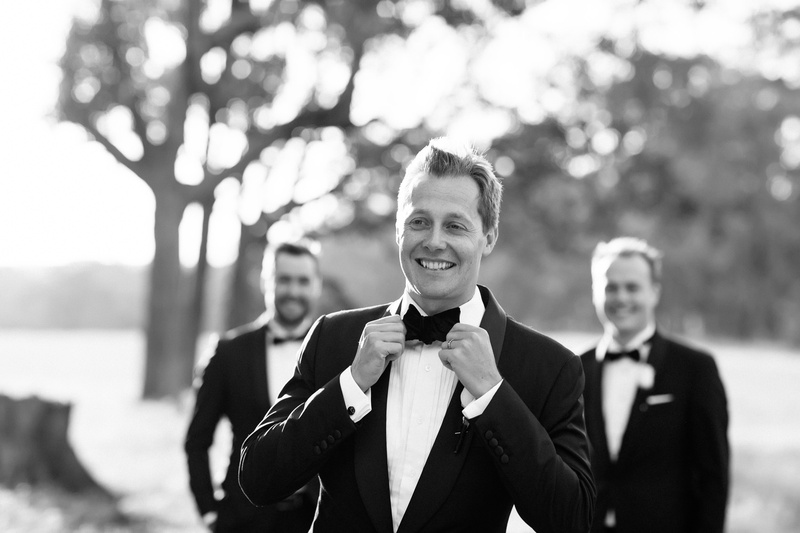 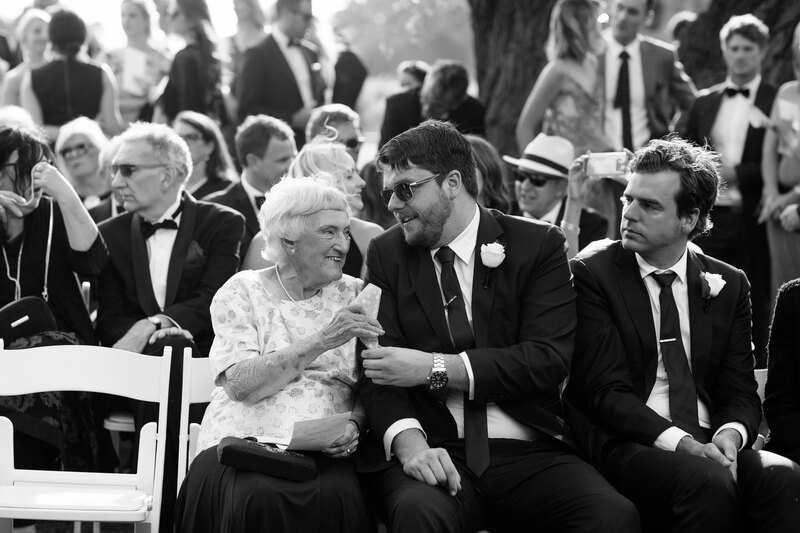 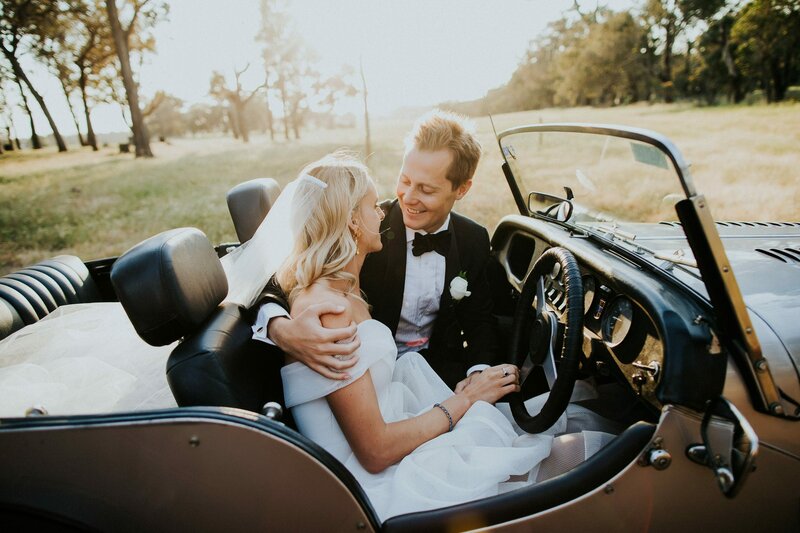 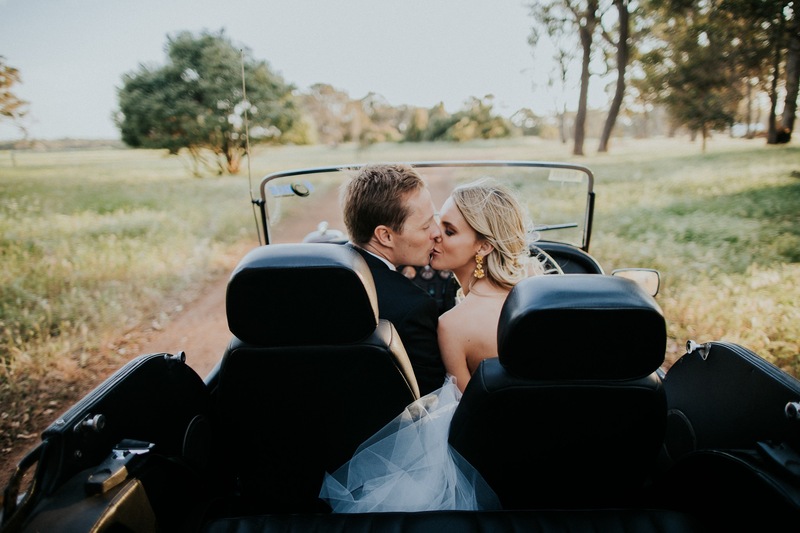 Her Brothers drove Susie to the ceremony in her late father’s vintage car which they spent months restoring for her big day. 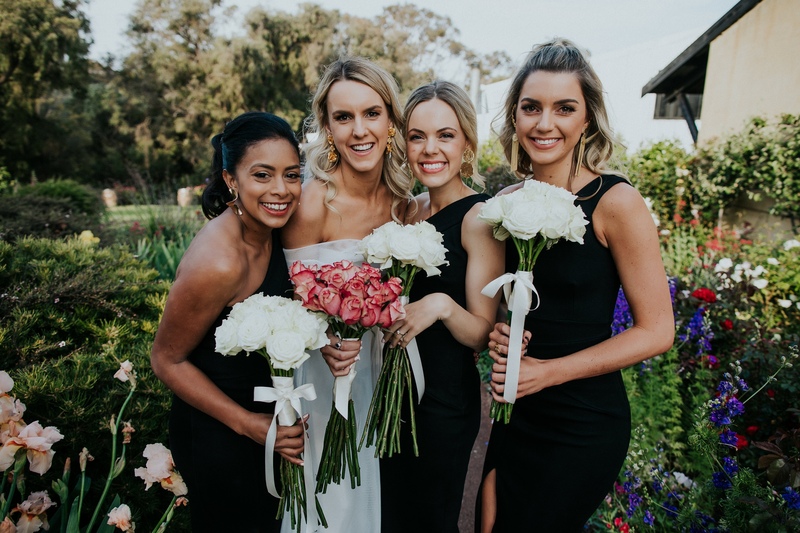 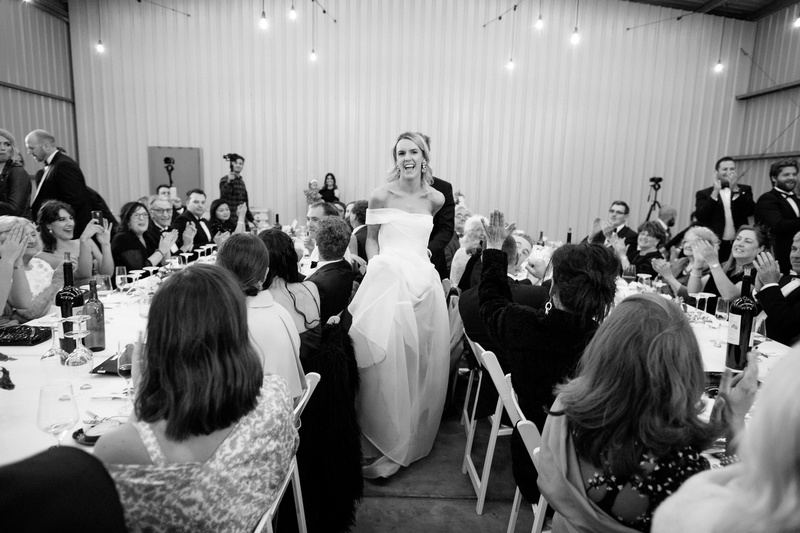 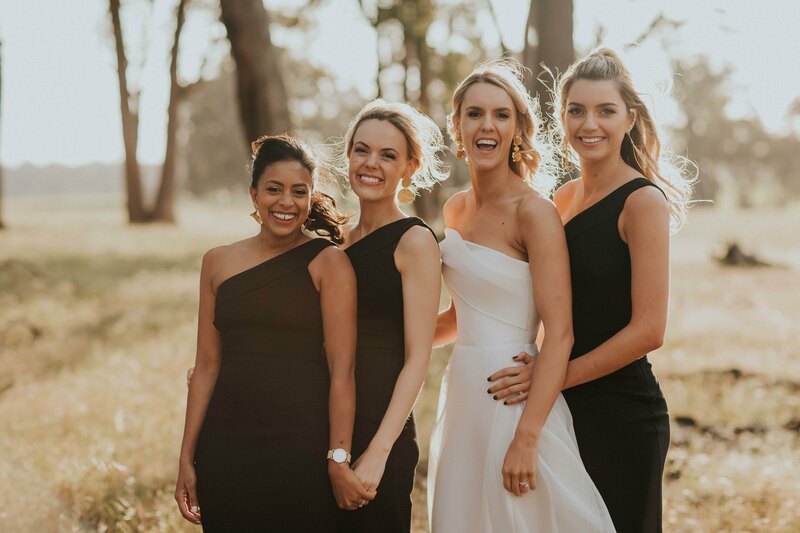 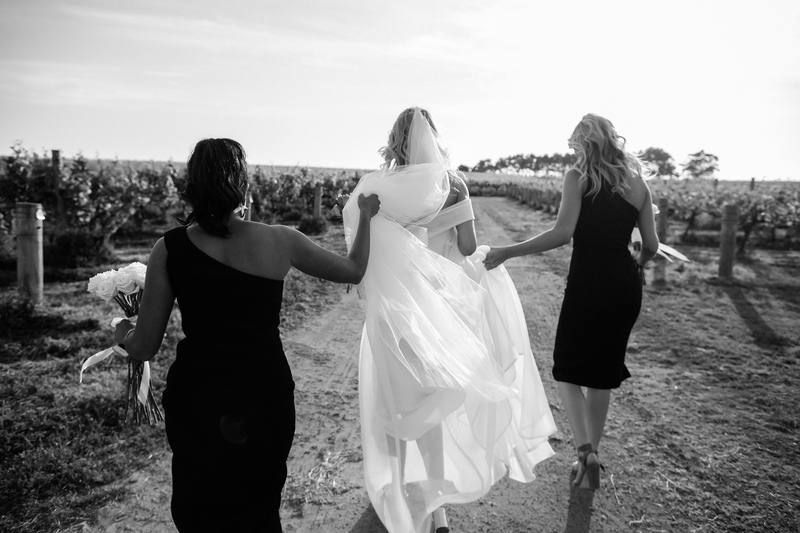 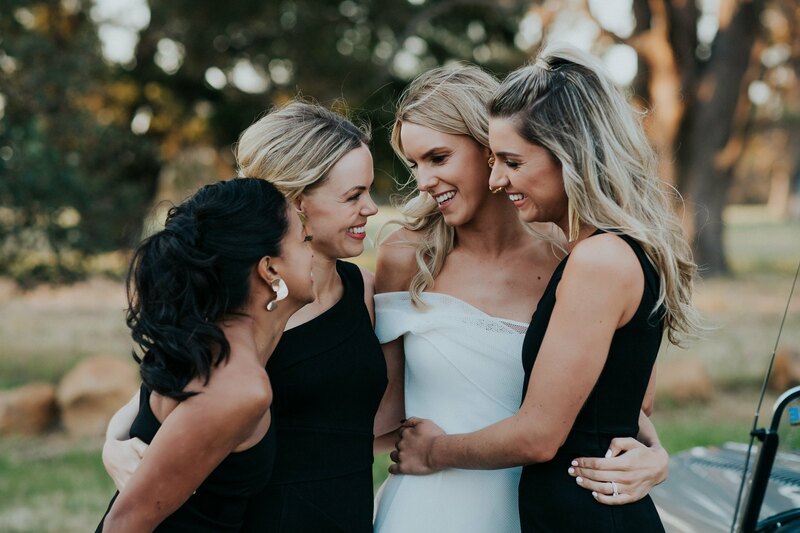 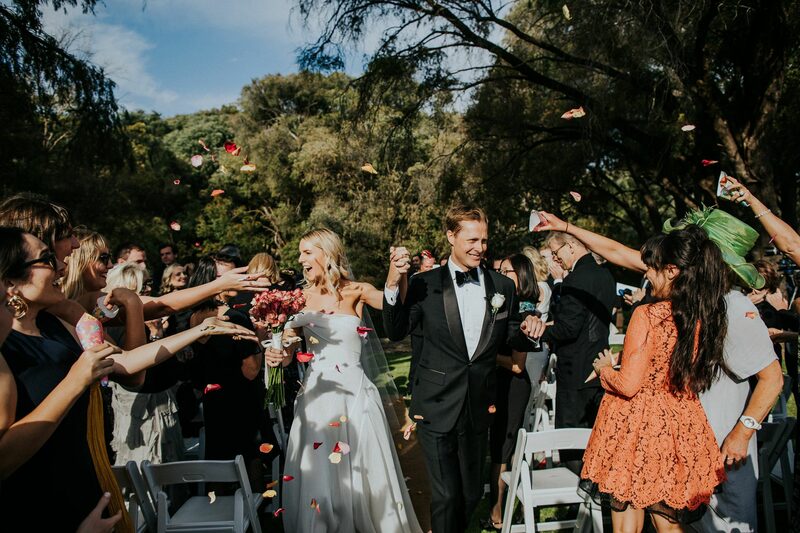 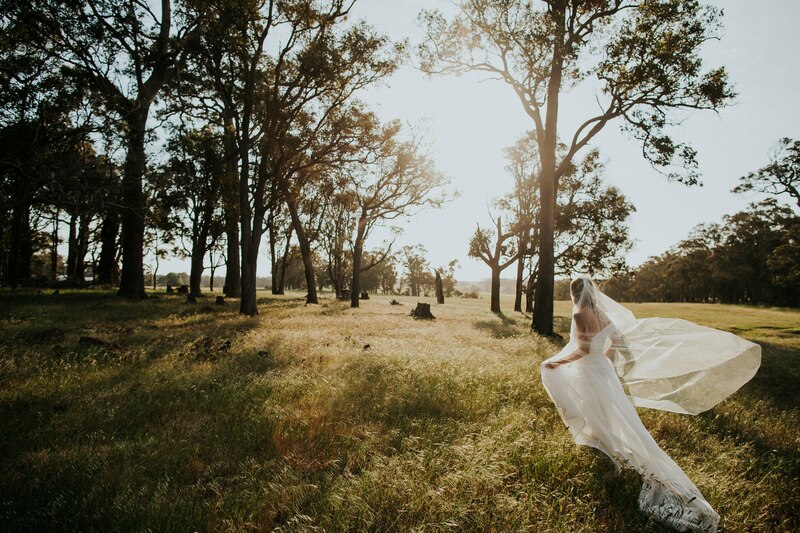 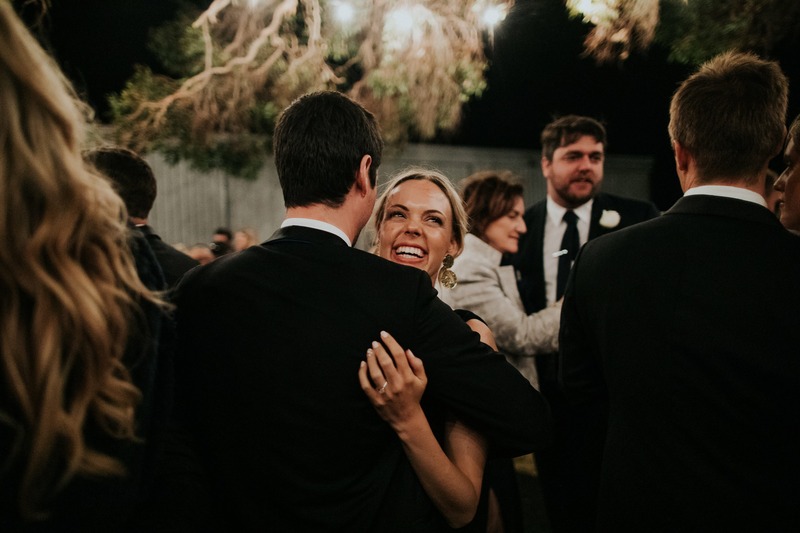 Flying over from Japan where they currently reside, Susie and Monty included personal touches like paper cranes into their wedding to make it special and represent them as a couple. 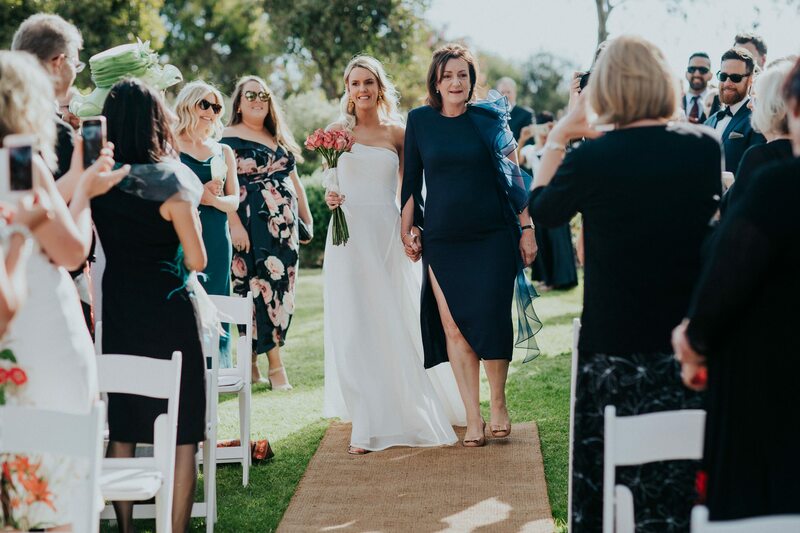 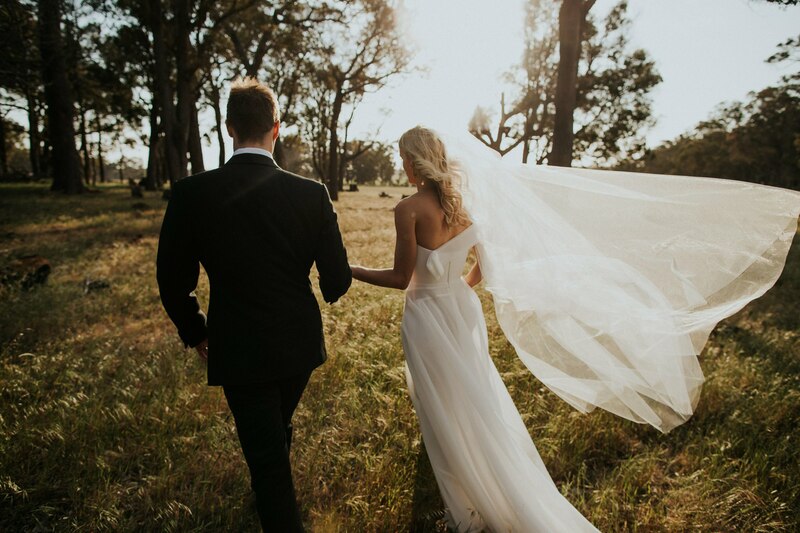 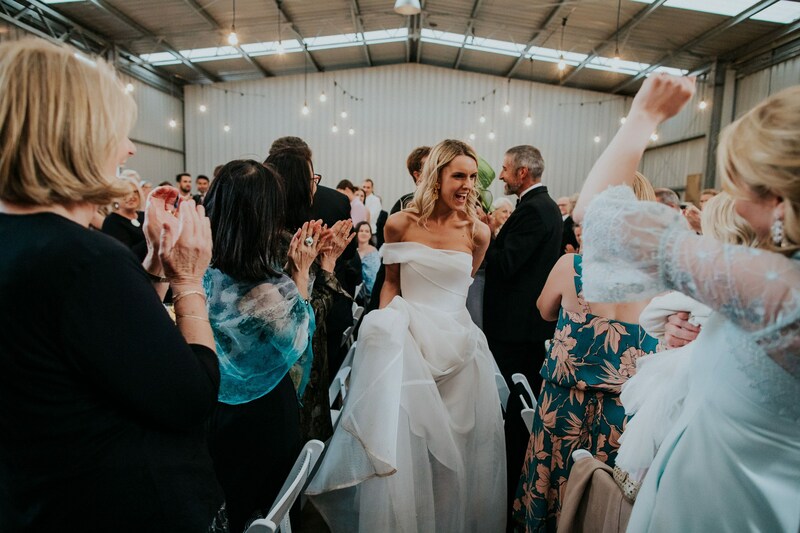 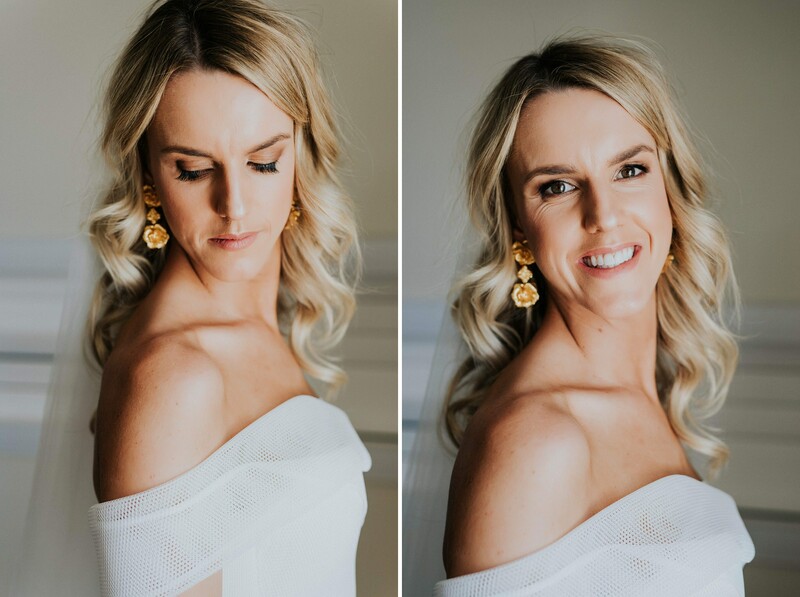 Her beautiful Georgia Young Couture Gown looked so feminine as she walked with her Mum in arm down the aisle to meet her handsome groom with a tear in his eye. 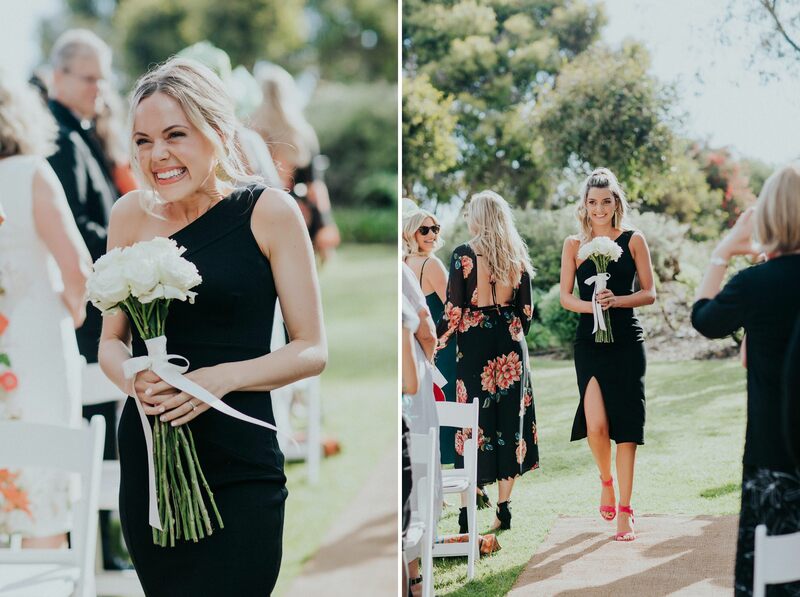 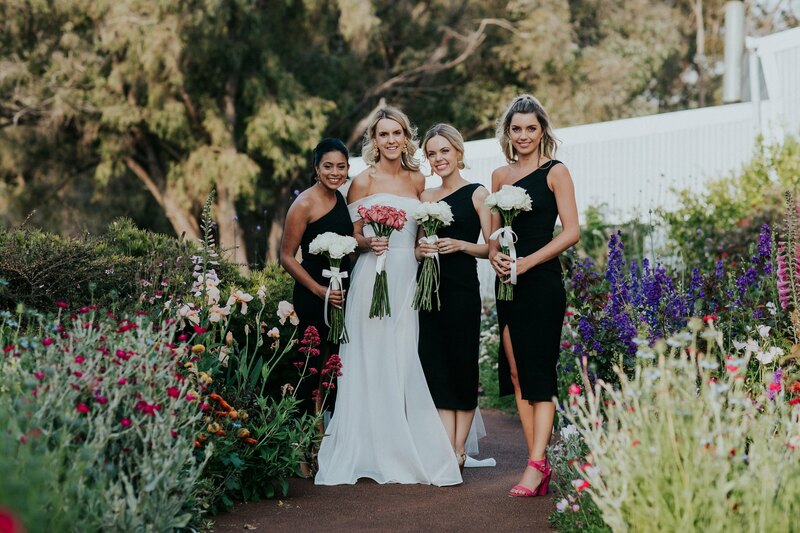 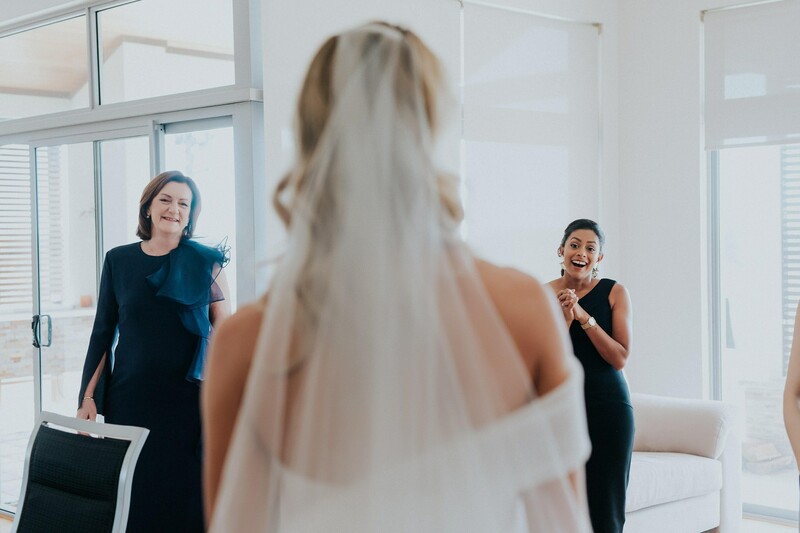 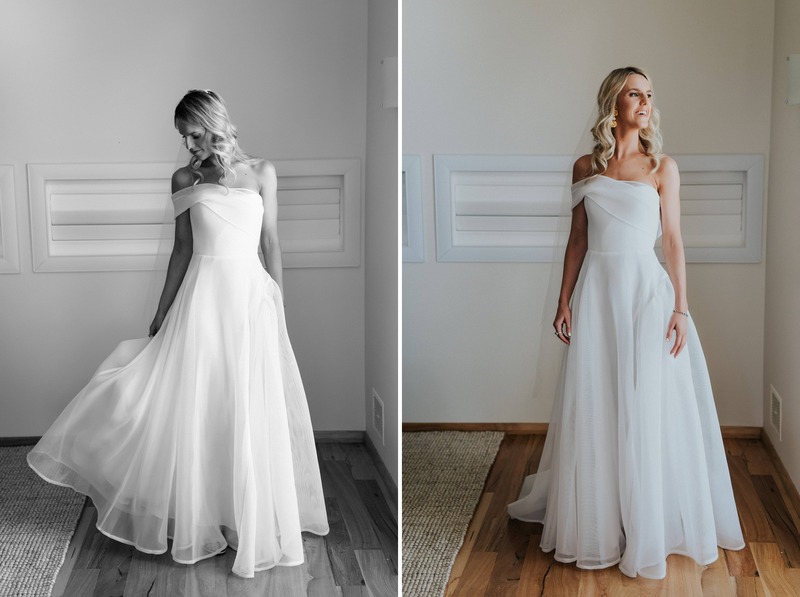 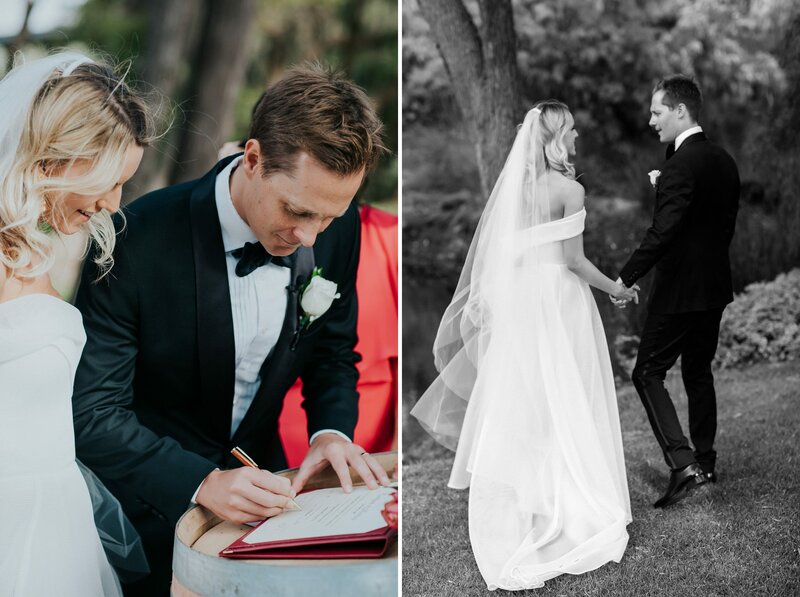 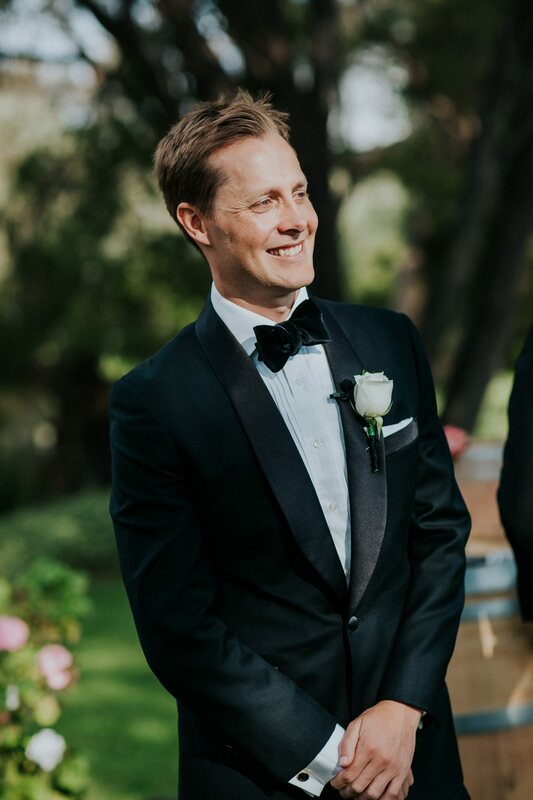 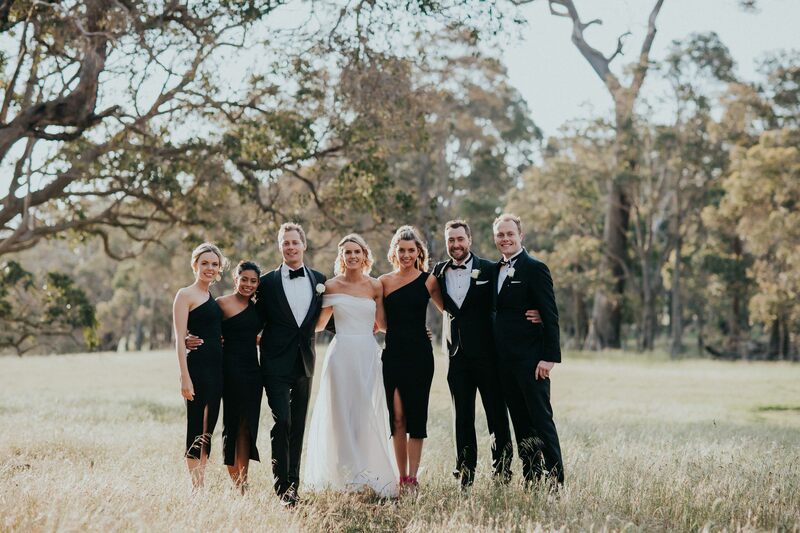 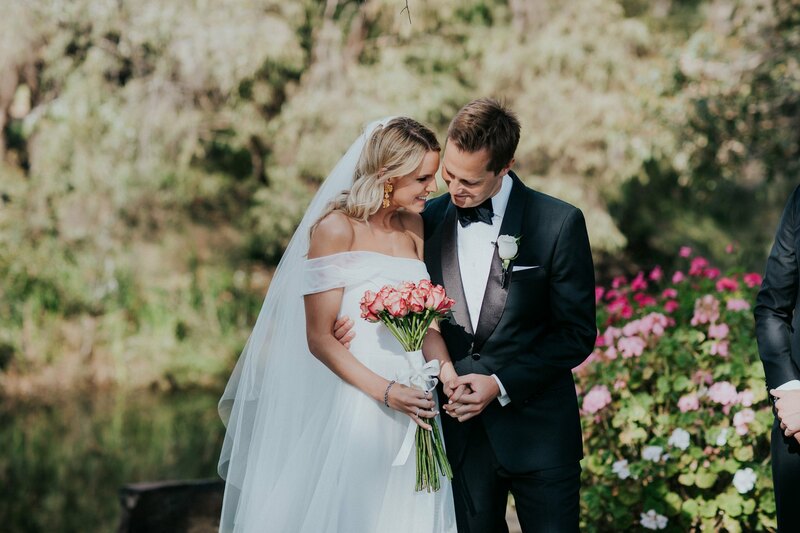 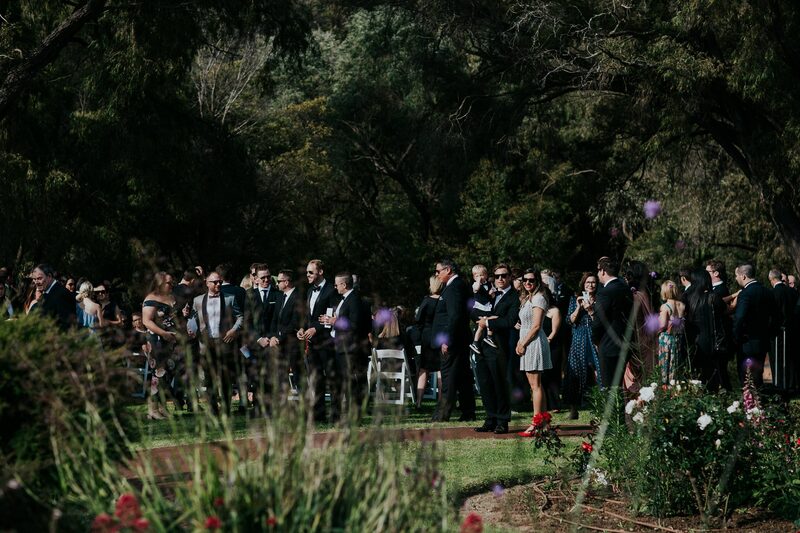 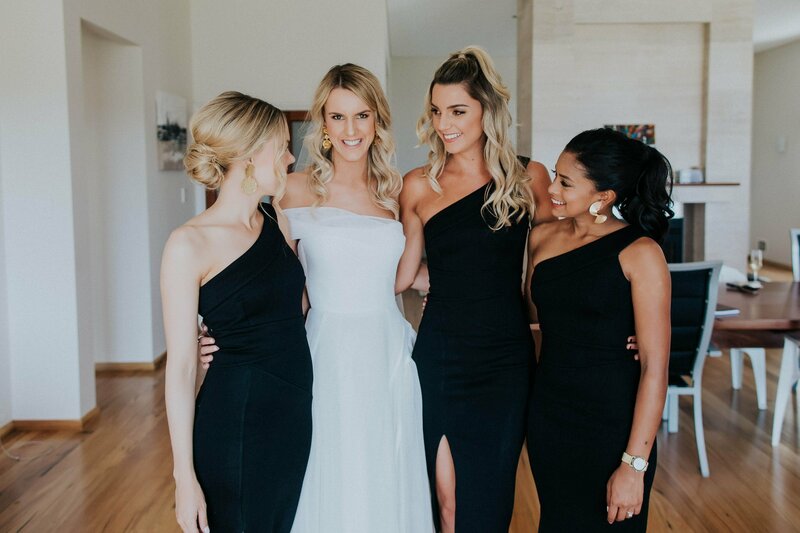 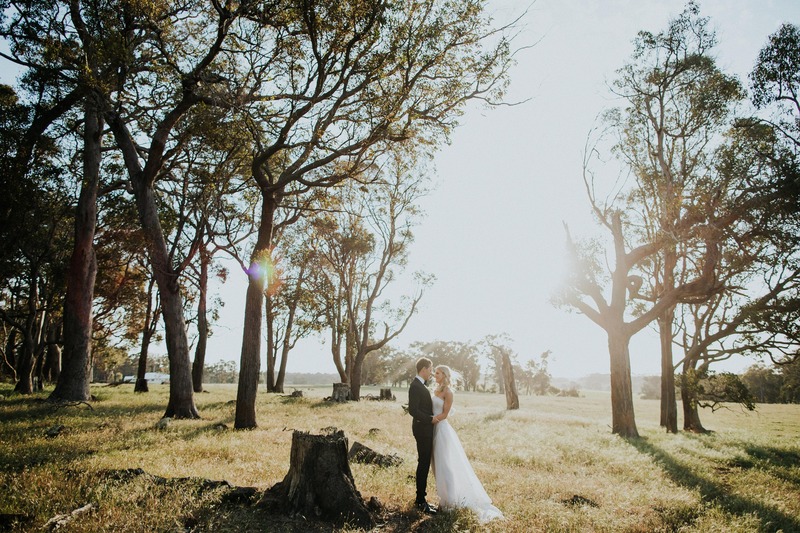 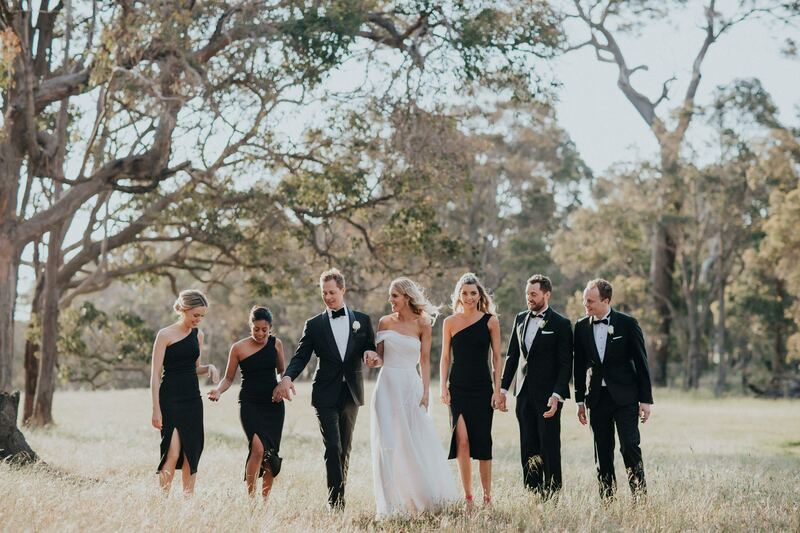 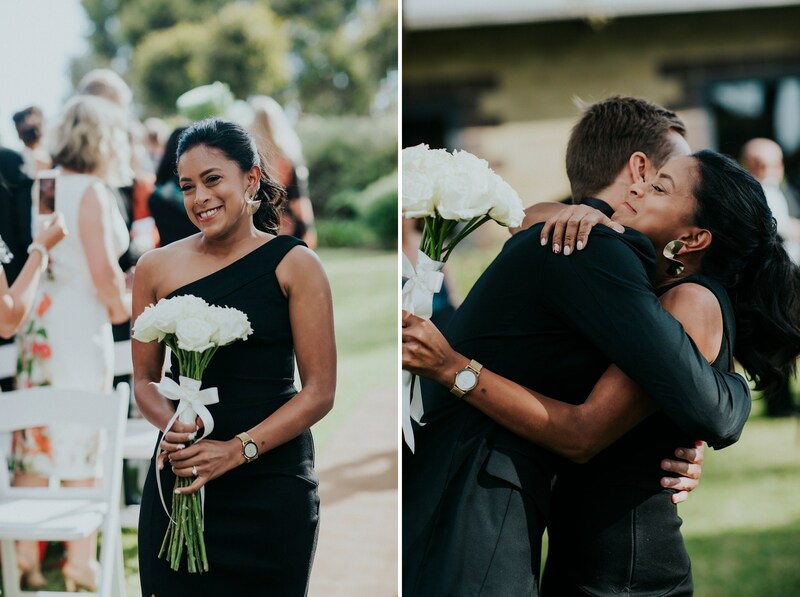 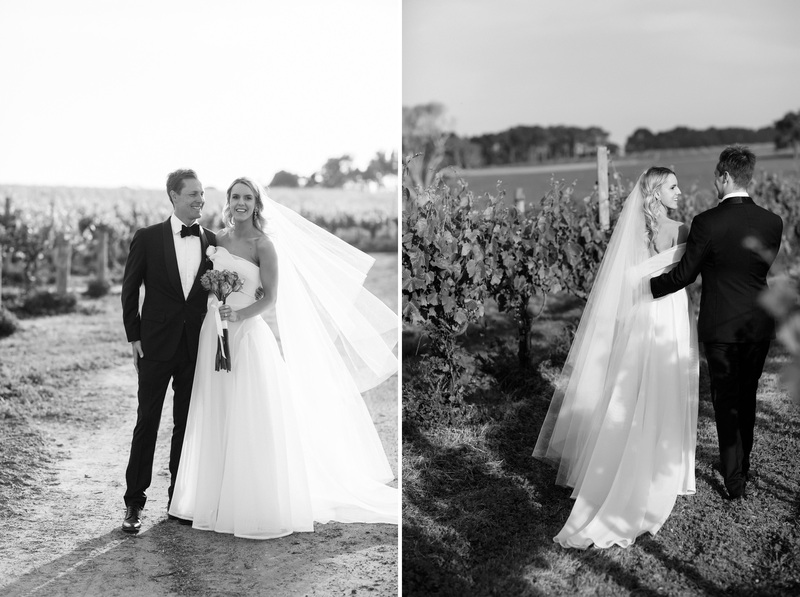 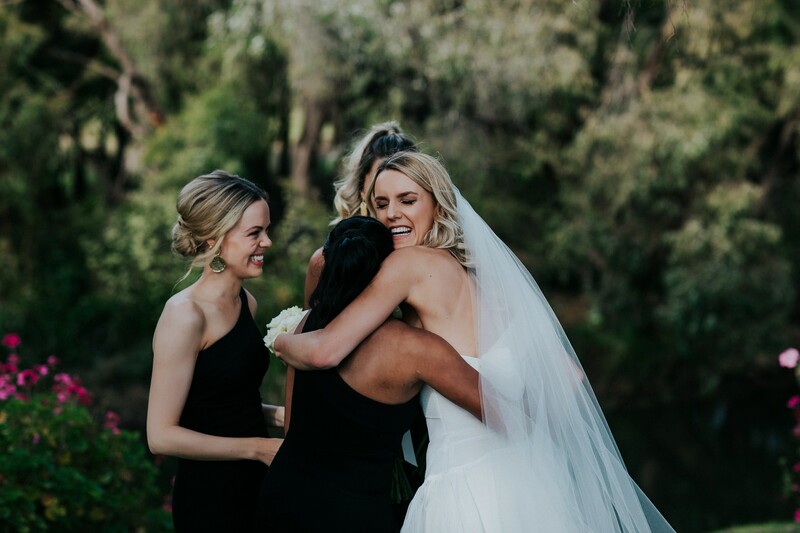 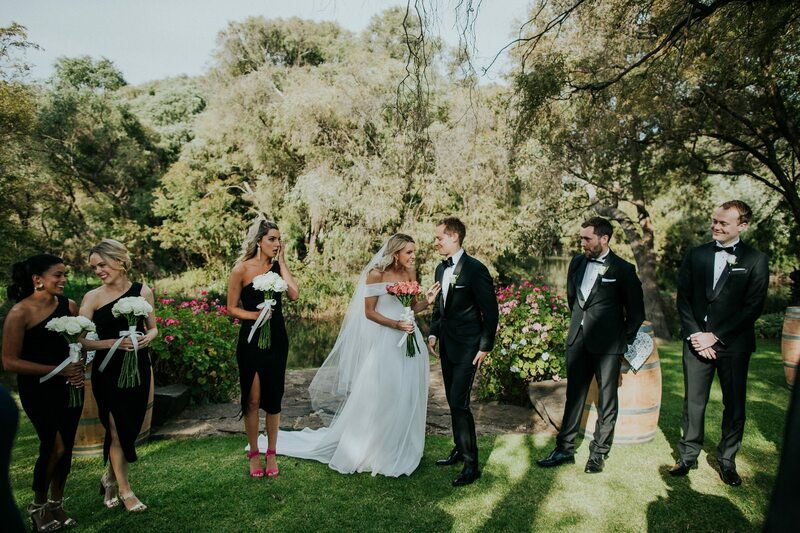 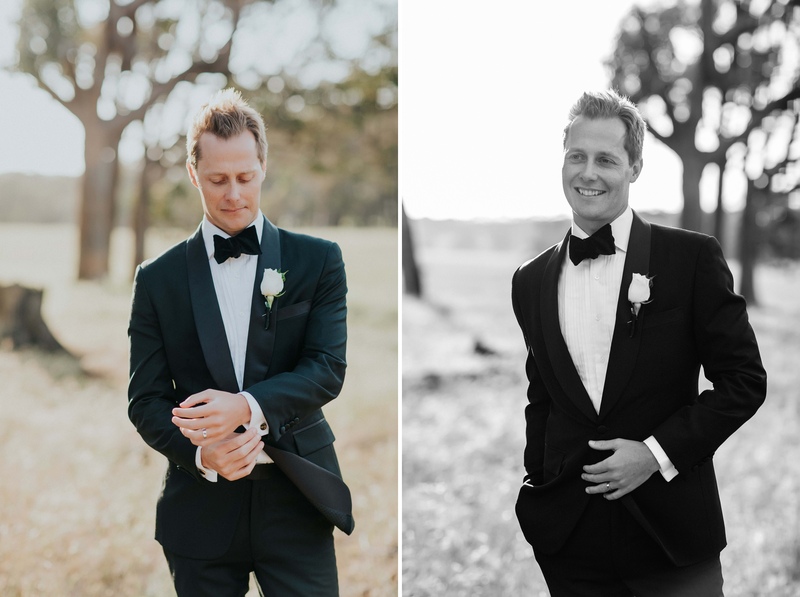 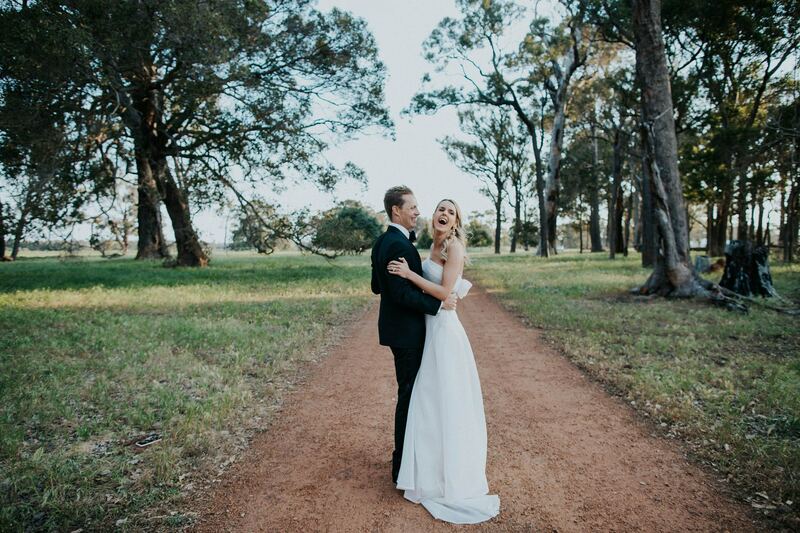 I absolutely love it when a bride and groom embrace before the ceremony – you honestly don’t have to act like strangers and stand a metre apart. 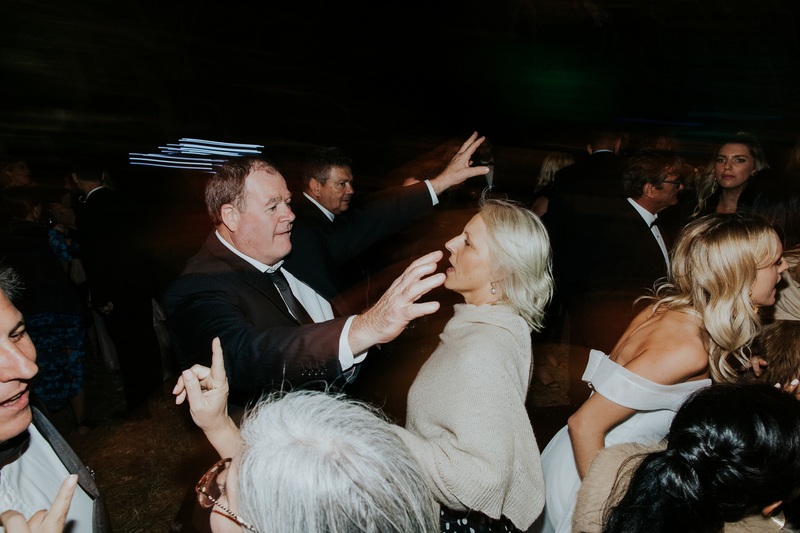 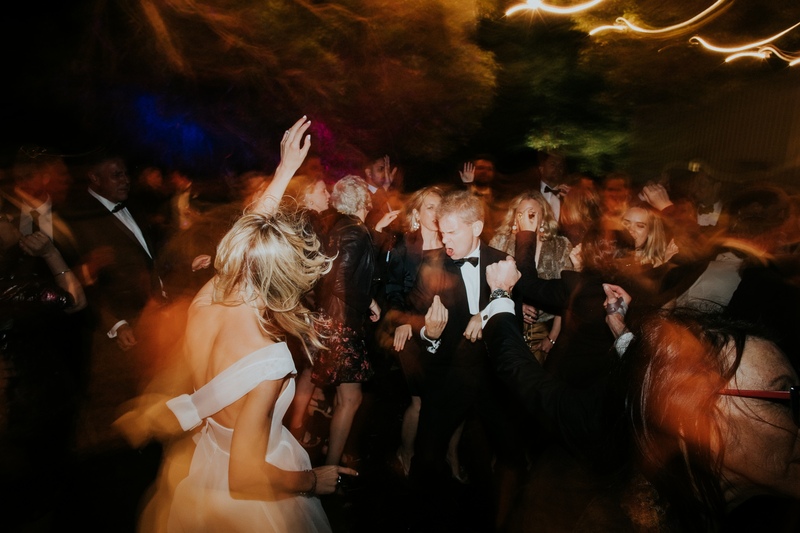 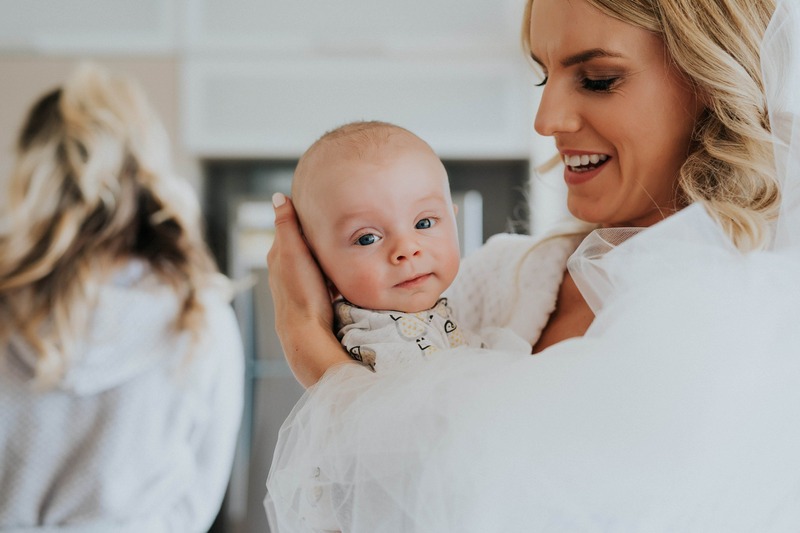 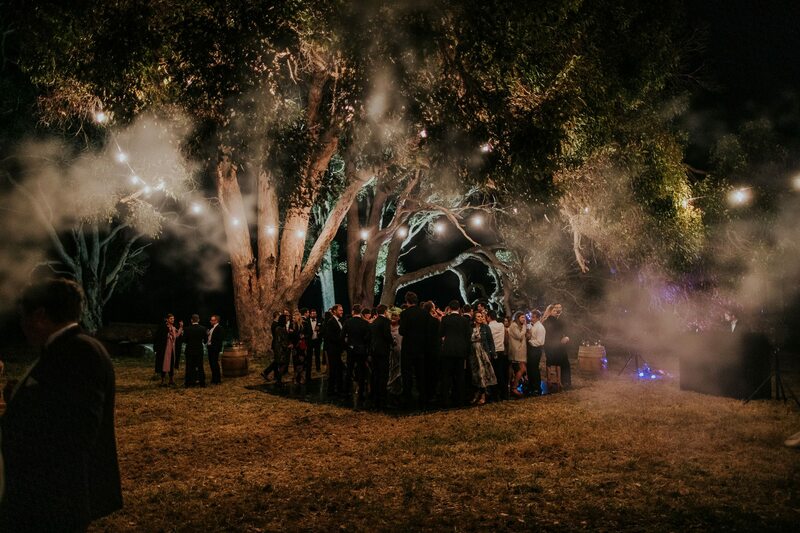 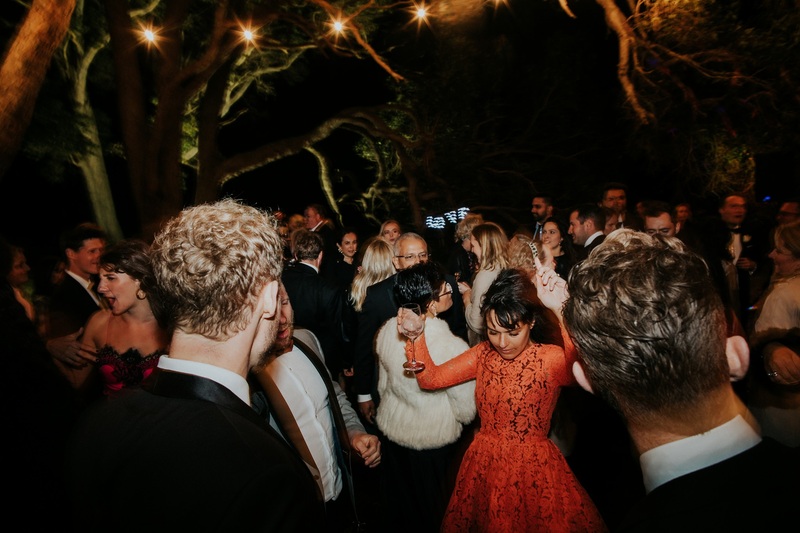 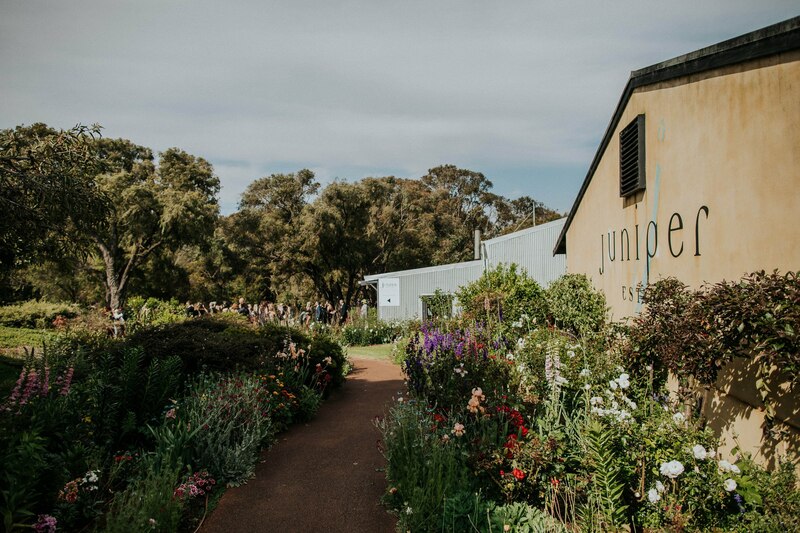 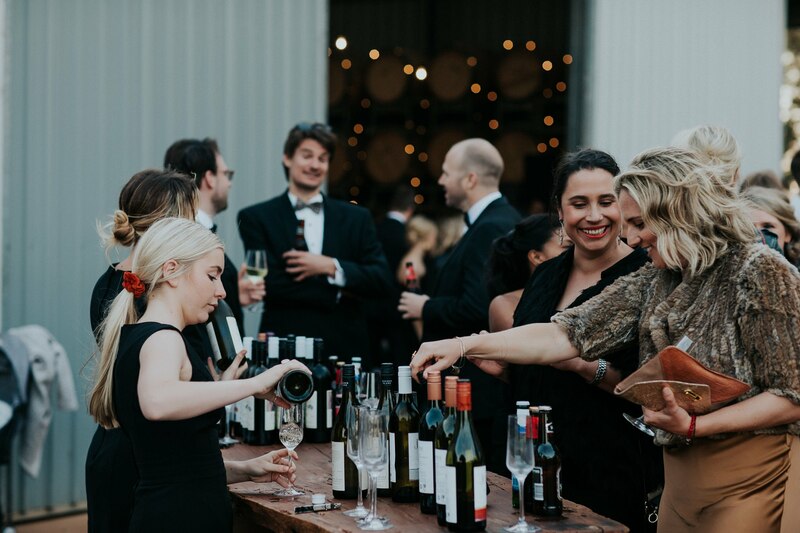 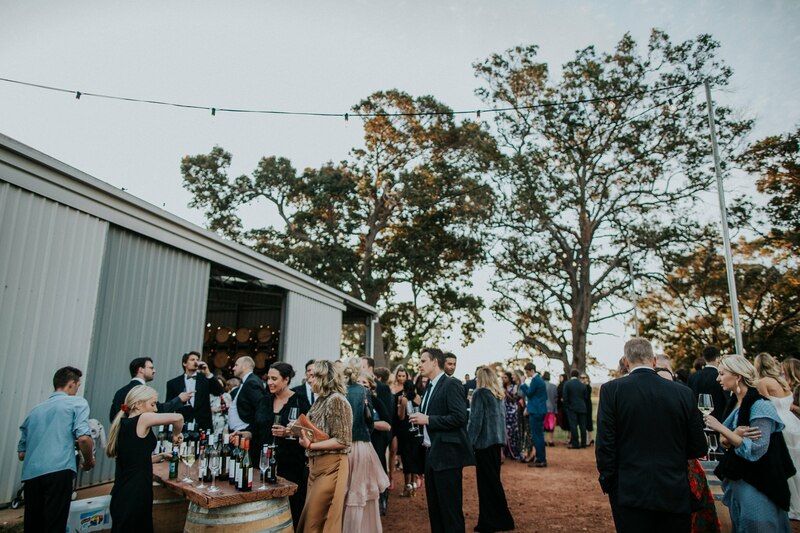 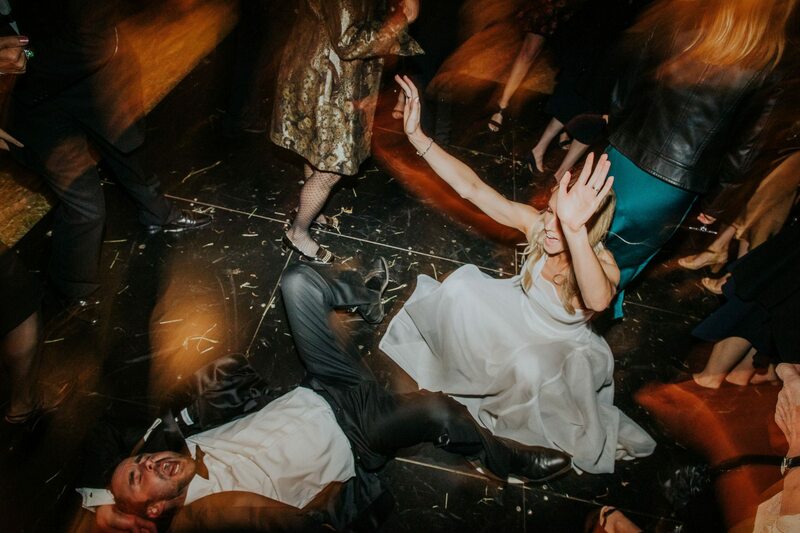 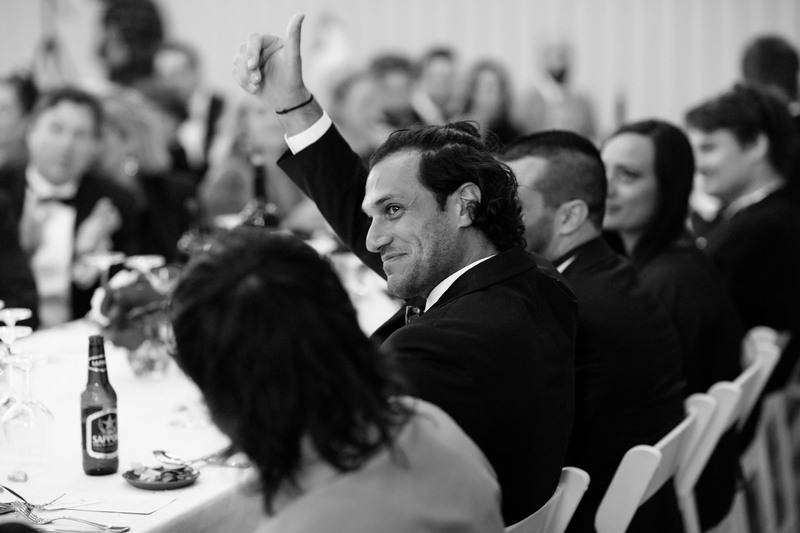 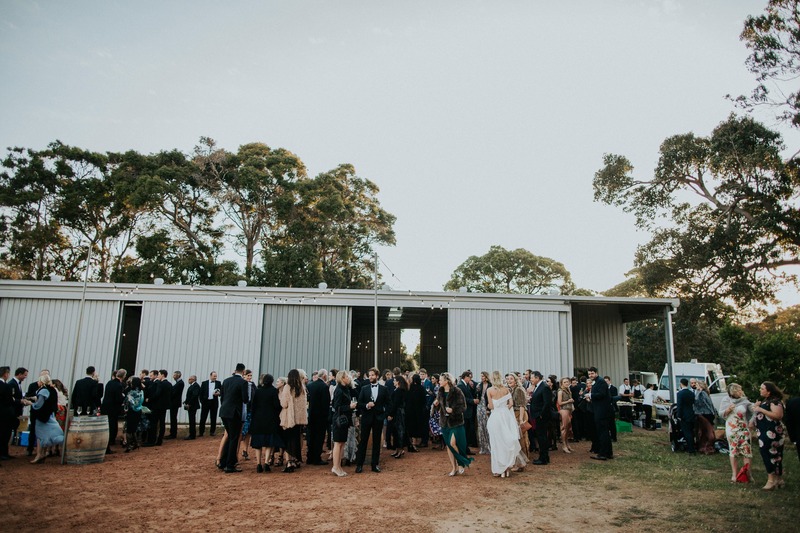 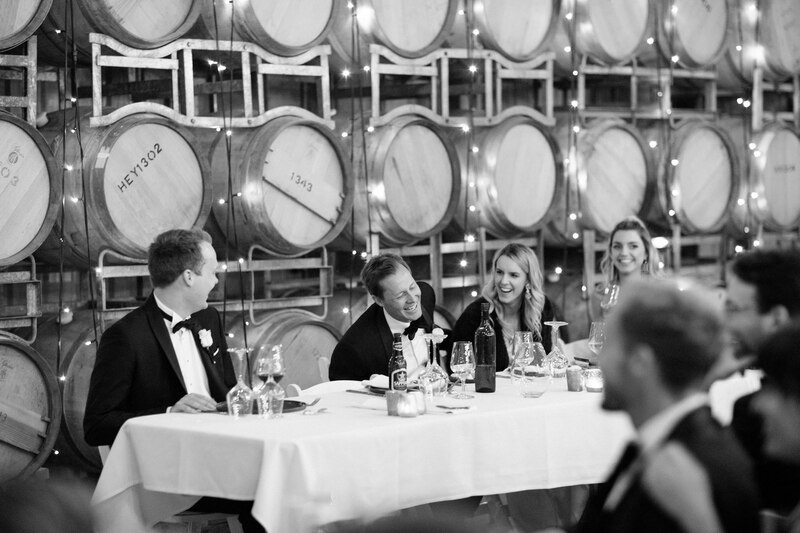 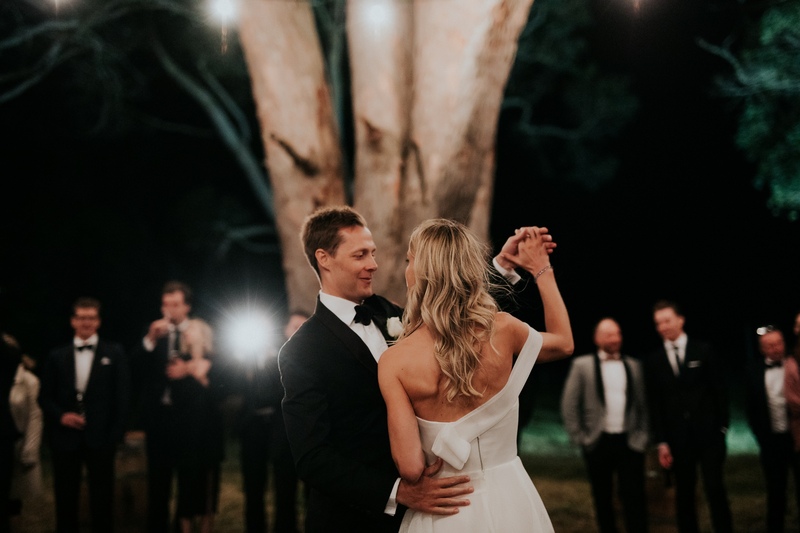 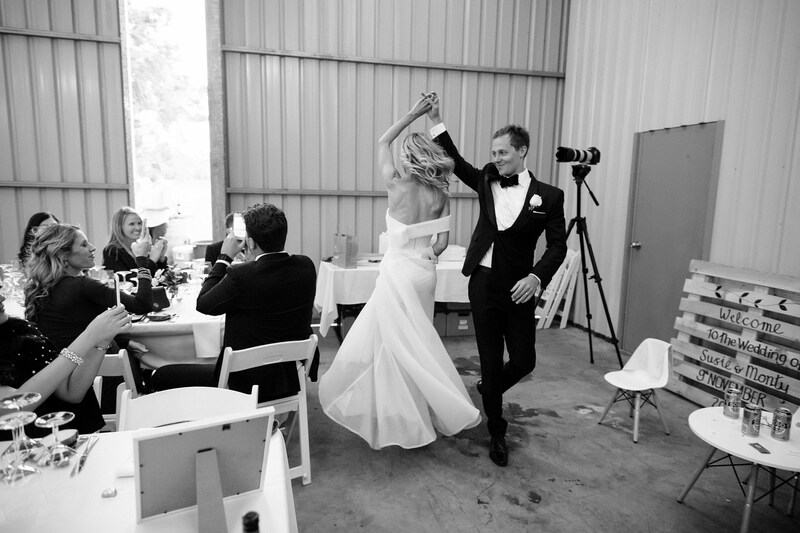 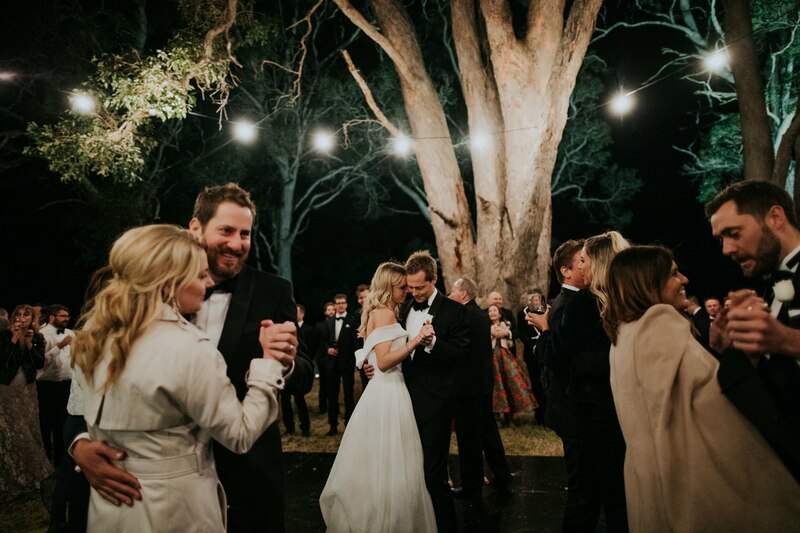 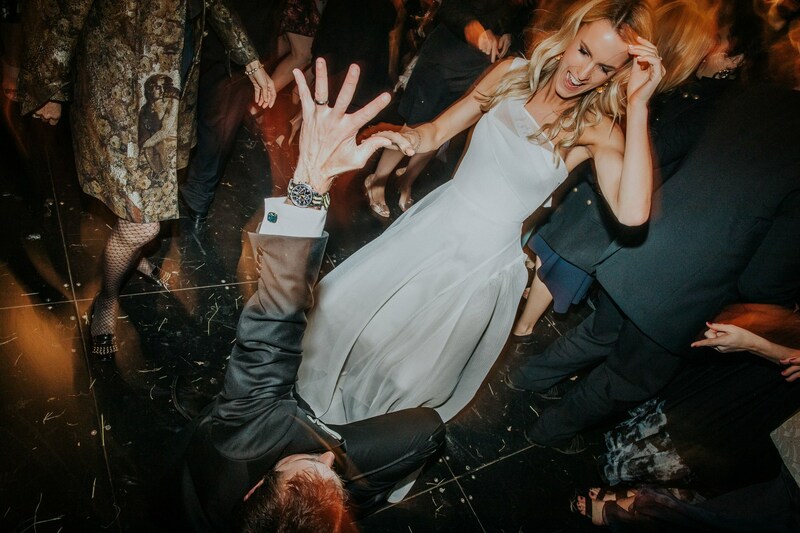 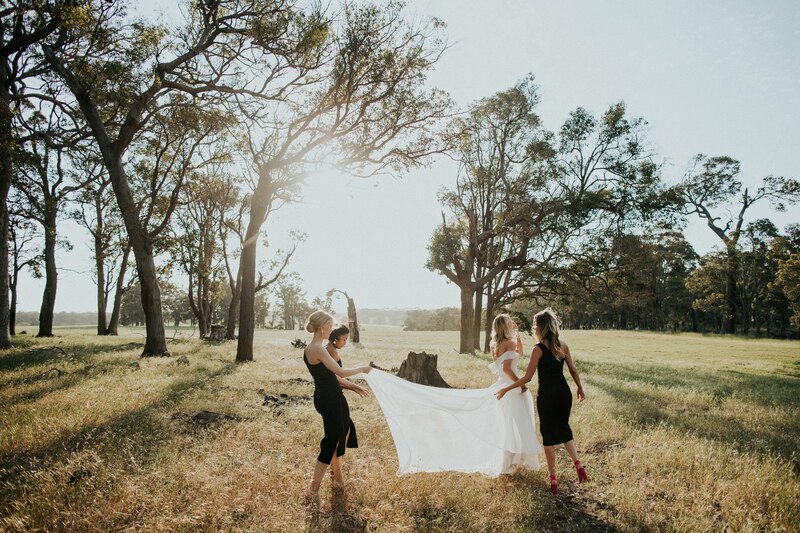 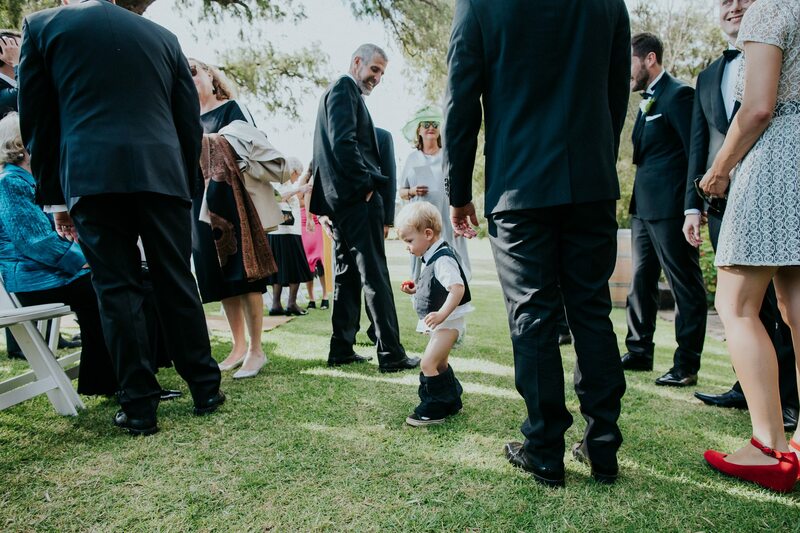 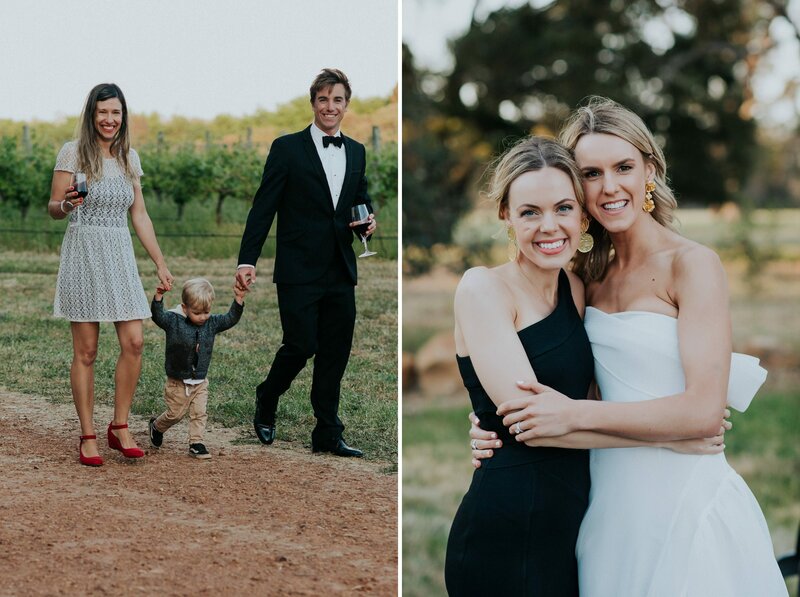 The outdoor dancefloor went off as the colder Down South weather forced everyone to get cosy and bring out the epic dance moves to keep warm… free-flowing vino with the family owning Juniper Wines helped too.